The dispute is believed to centre around at least 12 breeds including the basset hound, the mastiff, the rottweiler and the German shepherd. The Kennel Club has identified these to be "at risk". The Kennel Club was featured in a BBC documentary, Pedigree Dogs Exposed, which claimed many pedigree dogs suffered because owners bred them for looks. The programme also identified the Rhodesian ridgeback and cavalier spaniel as having serious congenital issues. It showed spaniels with brains too big for their skulls and boxer dogs that suffered from epilepsy. 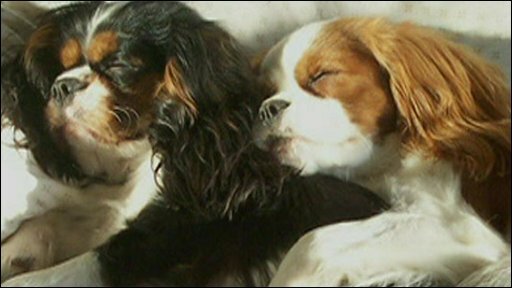 The Kennel Club has complained that the show was unfairly edited and did not properly reflect its "deep commitment to the health and welfare of dogs". It is understood that the club was asked to ban "at-risk" breeds from entering only the main competitions including "Best in Show" and the group categories. They could still enter fringe competitions where the BBC did not concentrate its coverage. The club has announced it plans to issue new rules about how pedigree dogs should be bred and, in partnership with The Dogs Trust charity, has commissioned an independent review - the results of which are due to revealed in early 2009. 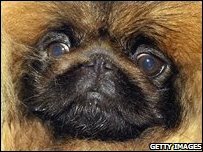 It first set of new breeding standards was for Pekingese dogs, traditionally bred to have a flat face, which the club has admitted "can lead to breathing problems". Under the new health plan, the breed is required to have a defined muzzle. More new rules are set to follow over the next few months. The club is also calling on the government to give it statutory powers to make its Accredited Breeder Scheme compulsory throughout the country - a system that would make it illegal for non-members to produce or sell puppies. The club said the March event would set the standard for future dog shows and judges would be trained to help ensure all dogs who were awarded prizes were "healthy representatives" of their breed. The BBC said it had "suspended" the show pending further health and safety investigations. After the documentary was aired, the corporation appointed an independent panel of experts to advise on any future coverage of the Crufts show. A spokesman said: "Unfortunately we were not able to reach an agreement about how to handle televising the so-called 'at-risk' breeds of pedigree dog and therefore we decided to suspend coverage in 2009." The corporation said it recognised the Kennel Club had "taken significant steps" to address the problems aired in the documentary and was "keen" to continue discussions reviewing the effects of the changes. George Entwistle, the controller of BBC Knowlege Commissioning, said people would be disappointed but the corporation had to have confidence the measures taken would be "effective" in addressing the issues raised before the event could be broadcast again. In October pet food firm Pedigree withdrew its sponsorship of the show while the RSPCA and the Dogs Trust also withdrew their support for the event. The RSPCA's Mark Evans said the BBC's decision reflected "serious scientific and public concern about pedigree dog welfare" and the show should be concerned less with the "arbitrary appearance" of the the breeds. Crufts, which was first held in 1891, attracts more than 150,000 visitors a year.